Winner RAW Comedy 2011 Melbourne Comedy Festival. Dayne Rathbone is perhaps the most original and exciting young comic in Australia. 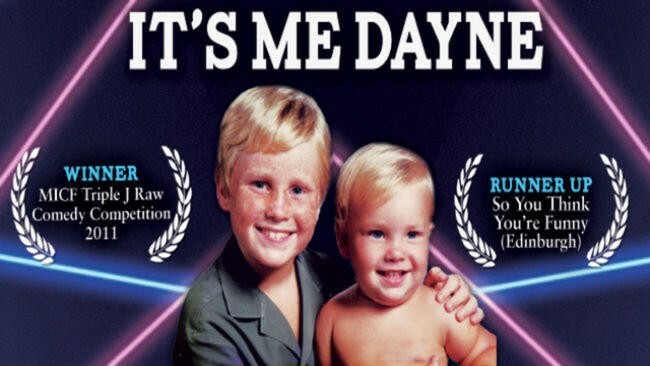 It's Me Dayne is an unimaginably funny, ridiculous voyage into the life and mind of this unusual man. In his debut solo performance at the Melbourne International Comedy Festival, Dayne recommends you view the show like one of those squiggly 3D pictures; you have to sort of just blur your eyes and not focus too hard, or just pretend you get it so nobody thinks you’re an idiot. We recommend you sell your mother to buy a ticket if you have to.